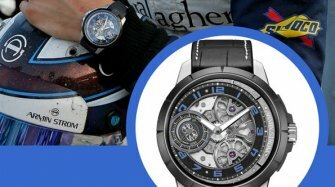 WorldTempus talks to the watch-mad racing driver who has been with Armin Strom since his Formula 1 days. 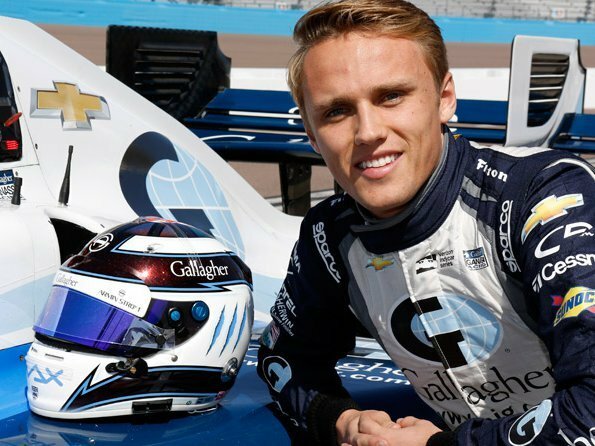 Thanks to a strike by French air-traffic controllers, IndyCar driver Max Chilton had just three hours to fit in meetings at Armin Strom and whizz around Baselworld. He nevertheless set aside ten precious minutes for a chat with our editor-in-chief. Since then he has already beaten his initial objective of a top-ten placing to finish 7th in his second race of the IndyCar 2016 season at the Phoenix Grand Prix. 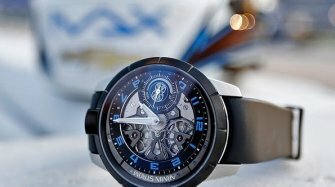 How did your partnership with Armin Strom come about? 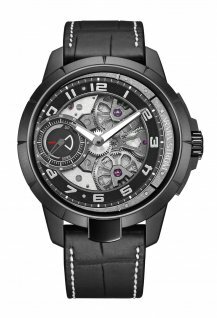 I joined the Marussia Formula 1 team as a reserve driver at the end of 2012 and they were already working with Armin Strom. I’m just a watch nut and I love the attention to detail in watches. As a reserve driver I spent a lot of time sitting around, so I had plenty of time to talk to Claude (Editor’s note: Claude Geisler, Director of Armin Strom) and understand the brand better. How close is your involvement with the brand? I’m quite picky when it comes to watches and I can be quite blunt sometimes with my opinions. I have been to the factory a couple of times and I have been here in Basel a few times, too. I’m good friends with Claude so I will often message him to see what’s happening at the brand. I don’t think I would be able to do this with another brand. 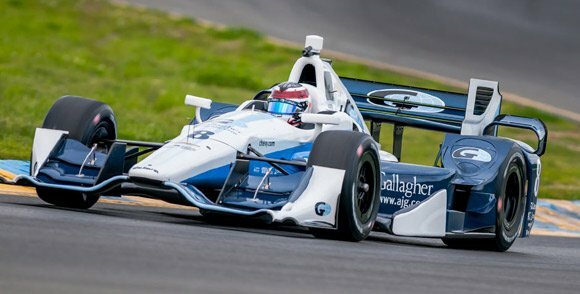 How does IndyCar differ from Formula 1? For someone who is not familiar with motorsport, if you put the IndyCar and a Formula 1 car next to each other you probably wouldn’t notice much difference. But Formula 1 is much more technology-driven, whereas IndyCar fits with the American tradition of big, powerful engines and just driving fast. One of the hardest things for me to get used to with the change is driving around oval circuits. You are doing 235 miles per hour on an average lap and you have to try to go through corners flat out. It’s easy to do this with downforce, but if you want to be faster than your competitors you need to take some of the downforce away and that’s when the car can start moving around. It’s very competitive because everyone has the same chassis and a choice of just two engines (Chevrolet or Honda) and you get the aerodynamics kit for that engine. It makes things a lot fairer than in Formula 1. How different are the effects of g-forces compared with Formula 1? It’s a lot different because we have five street circuits, five road courses and five ovals. Phoenix, for example, is a relatively short oval circuit with high banking, so we can pull over 5g in the turns. We can do a 2-mile long oval in 19 seconds and you are constantly turning, since the straights are only short. So for 11 of the 19 seconds you are pulling over 5g and you do that for 250 laps. What is the social side of the racing like? It is completely different from Formula 1 and there is a great camaraderie between drivers. My team mate Scott Dixon, who is four-times champion, and all other team members are all willing to help. In Formula 1 and European racing you are outwardly friendly with your team mate but he is essentially your rival. 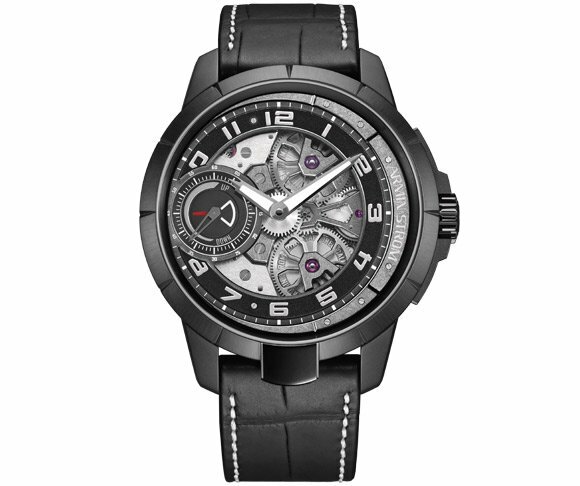 What do you think of the new Armin Strom Edge model? I like to think that it is my love-child in a way. For a few years I have been telling Claude to come up with a bigger and more manly design. It’s only 3 millimeters bigger in diameter but it makes a big difference. 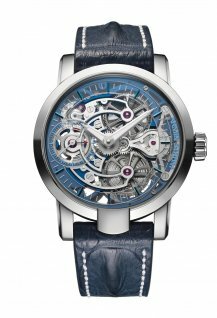 What do you go for generally in a watch? I like it to be rare. I don’t like to get on a train and see someone who is wearing the same watch. Also, the art of a lovely watch is internal and you need to be able to see the detail. 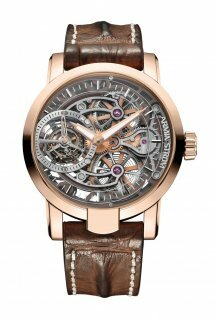 You can see through all Armin Strom models and I think the brand is a leader in this respect.